I suppose I had better get this out of the way. Without putting too fine a point on it, I am no longer pregnant. It has been a week now and although grief has a nasty way of winding you when you least expect it, coming over you in unexpected waves as it does, I think I am starting to see light at the end of the long dark tunnel and I hope I can look forward to some better days soon. We hadn’t planned this pregnancy at all – we had given up a long time ago (although I never stopped being broody and wishing for more babies) but I had more or less come to terms with the fact that, at 45, more babies weren’t very likely. This was my 6th loss too, which seems far more than my ‘fair share’. Anyway. 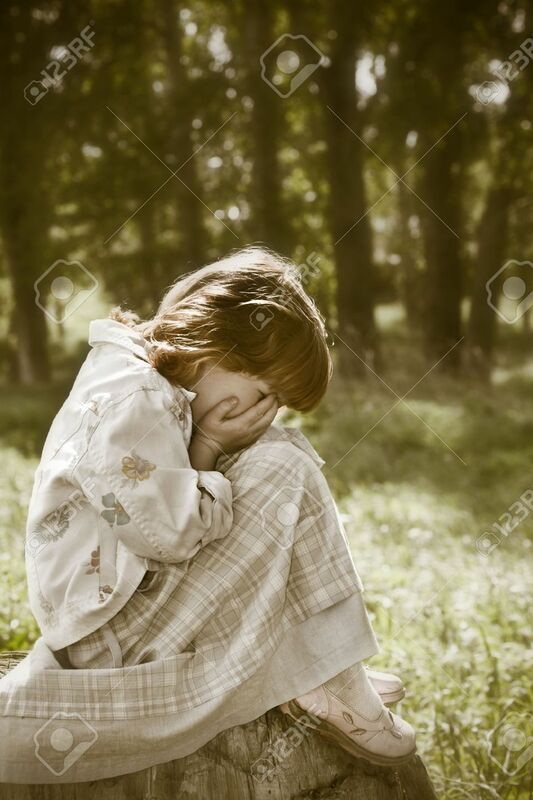 I need to fold up all my hopes and dreams and plans of babies and young children and lay them back in the ‘hope chest’ and lock it away for now. I’m not ready to think about that yet. In May we started the process of buying a flat. It was beautiful and big, but it had no garden or parking, no garage or storage, and it would have necessitated moving towns amongst other things. It seemed like a good idea at the time – it was a nice town that we all liked and we already had friends there. But then I discovered that I was very unexpectedly pregnant and the lack of garden and parking suddenly seemed more problematic. The final decision not to go ahead was influenced by the fact that middle son felt very strongly indeed about changing schools (as in”I’d rather die!”) and daughter didn’t even get the place we had been assured was hers for the taking at Sixth Form in the same school. So we said goodbye to the lovely big flat, with no clear vision of where to go or any obvious options other than staying in the housing association house that’s so unsuitable. But then… I’m not pregnant anymore. I rather wish we had a move to look forward to, as the future is looking pretty bleak right now. This was my 6th loss through miscarriage and since I’m 45 now, there’s no guarantee at all that there will be any more pregnancies or even any more conception (this baby was 4 long years in the making). And so I’m beyond sad. I’m absolutely broken and bereft. I can’t see any light, only tunnel. And the worst thing about all this is that we weren’t really trying to conceive anymore. We had given up. And I was more or less, reluctantly resigned to the idea that there wouldn’t be any more babies. But now? I can suddenly vividly remember the feeling I had after I lost my twins all those years ago – the feeling that I could more than understand the desperation of bereaved mothers who go on to steal other mothers’ babies. It becomes an all-consuming obsession to somehow obtain that which you cannot have. Despite my determination to think positively, look for the good and find treasure in the darkness this year, all I can see now is darkness. Was there any point in all this? Life seems to have a cruel and sick sense of humour. 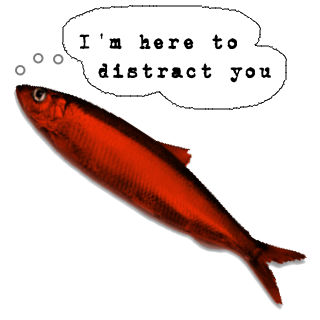 It seems to have been nothing but a red herring. But I don’t know anymore what I’m meant to be focusing on instead. How to pray when life hurts? This year seems to have been one upset, catastrophe, tragedy after another. I won’t dwell on the particulars. If you know the passage, this is right at the beginning of the period of the Judges and the cycle of rebellion, punishment and repentance – old Israel was so hard of learning! So does the cycle of suffering work the same way in the lives of believers under the new covenant? Perhaps, but not always. Illness, injury and disaster sometimes come upon people and there is no rhyme or reason or discernible explanation. (Did you ever read the book of Job?) And sometimes, as in the story of Jesus with the blind man, it isn’t the result of the sin of the man or his parents but so the glory of the Lord may be made manifest. It is difficult to keep on trusting and obeying and praying when life is at its hardest. It is not easy to hold on to the truth that “All things work together for good to those which love God, to them which are called according to his purpose.” But it is still true even when it feels impossible. “This is a precious promise to one who lives for fruitfulness. At first it seems to wear a sharp aspect. Must the fruitful bough be pruned? Must the knife cut even the best and most useful? No doubt it is so, for very much of our Lord’s purging work is done by means of afflictions of one kind or another. It is not the evil but the good who have the promise of tribulation in this life. But, then, the end makes more than full amends for the painful nature of the means. If we may bring forth more fruit for our Lord, we will not mind the pruning and the loss of leafage. When I do not have the strength to pray my own words, I pray Scripture (and if you dig into the psalms, it isn’t all sweetness and light – some of them are gritty and mournful) and remind myself that, no matter how bleak things look, Good is good, and it will all come right in the end. I am sorry to have been absent for so long. Life on the Station has been complicated, and hard and painful just recently, and it has been a challenge to keep my head above water. I am trying to surface again now, but we’ll just see how it goes. I’m making no promises. Kira has to go to one of Bajor’s moons to evacuate the last remaining settlers so that the moon can be used to create energy for Bajor. The settlers are stubborn and determined to stay, and although Kira begins to connect with the man, in the end she is forced to destroy his home in order to get him safely off the moon. The sub-plot has to do with Jake and Nog who do a little bit of sneaky trading of Cardassian Yarmok sauce/ self-sealing stem bolts/ land on Bajor behind Quark’s back and find in the end that the apparently worthless piece of land is in fact a crucial piece of real estate that has marriage value to the surrounding land. I was surprised this episode came up so early in the series. This is a difficult episode for Kira, because she empathises with the settler and feels that opposing him and forcing him out of his home is a little bit like doing the work of the Cardassians for them, but in the end she must make this painful decision in order to save his life as the energy project will start whether he stays or goes. I never quite understood why she went about it the way she did. One minute she’s helping him build, risking her career and Sisko’s wrath by delaying, nursing the man while he’s sick when she could have taken him away then easily, the next minute she’s setting his house on fire to force him to go. It seemed harsh. I suppose it was necessary in the end, but I don’t know that I would have done it that way. Land, in the end (it seems to me) is only land. But the house and everything in it could have been saved, moved, transported. Why did it have to be destroyed? It seemed unnecessarily cruel. I think about the house I left, and nostalgia comes over me in waves just like grief does. I was never that attached to the place as such, but that house – where my children were born, where we spent all the years watching them growing up, all those memories. My heart aches with longing for it. I know that those times are gone, and even though it is hard, we adjust to children growing up and becoming their own people with their own ideas and interests and plans. But having the house where it all happened ripped away from me, well that hurts. Maybe Sisko thought that moving away would save my life, or my health, or my sanity. I don’t know. But I think he might have been wrong. The price was too high, and I left my heart in the old country. But I also know that, since we moved away, the house we left isn’t there any more – it was ruined beyond all recognition by the bad tenants to whom we had the misfortune of renting our home. So I have no choice but to move on. ((((But you exist there)))) Yes I do. Perhaps I just need to accept that fact, that my grief and loss is part of who I am now. There is no moving on, just accepting. Sisko, Bashir, Chief O’Brien and Kira take the Kai on an outing to see the Wormhole, and when there is a distress call, she encourages them to answer it. As a result, they become stranded on a planet where there is continuous war, and the inhabitants have been treated with nanobots which ensure that when they are wounded and killed in battle, they do not die permanently, but are revived, so the cycle of war goes on and on. Kai Opaka is killed in the impact of the shuttle’s emergency landing and is revived, but then it turns out that she can then never leave the planet because the reviving nanobots only work there. And so, when they manage to fix the runabout so they can leave, Kai Opaka must stay, and Kira must say a final farewell. “I’ve discovered we can’t afford to die here. Not even once.” – Bashir. Noooo! Why did they do this? The answer of course is that Kai Opaka was just too nice, too perfect; there was no conflict, and that makes for a boring story. And as painful as it is, it’s a good episode full of feeling which explores all the themes of grief and loss, war and peace, love, friendship and hope. I’ve mentioned my Dad before. I don’t think anyone else in my life has ever quite fulfilled that same role of mentor, and although I would love to find a new mentor, I don’t think it’s very likely that I would find anybody who could fully fill his boots. He was a religious man, and had a strong belief in the after-life to the extent that, when he was very ill at the end, and could have gone on living, he chose to die (by refusing to continue with dialysis) believing that he would go to his ‘eternal rest’, and that seemed more attractive to him than life. I am a ‘believer’; I have a faith, but I don’t feel comfortable with such assurance that makes people choose death over life. It seemed an unthinkably cruel and cowardly choice, but I know that he wasn’t in his right mind when he made that decision, and for him, dialysis was his worst nightmare come true. After several months of misery, he decided to pull the plug. He was told that he would die within two weeks, but in fact he suffered 8 more months of pain and misery. The grief that I felt when he left us was so deep, it was physical. I felt as though my chest was crushed and I really felt as though I were seriously, physically ill. Sisko, who had been through something very similar, was able to tell me that no, this was what grief is like. Of course I like the idea that he is living somewhere, out of space and time, in a place where there is no more sorrow and no more tears and no more pain. At the end of the episode, Kai Opaka tells Kira, “Your pagh and mine will cross again” but, apart from the odd couple of episodes where one of the Wormhole Aliens appears in the form of Kai Opaka, she does not return, and we don’t see her again as that character. The idea is that, negotiating between the two warring parties to bring them toward peace becomes Kai Opaka’s new life work. I was speaking to my mum the other day about the idea of heaven and my Dad – what is he doing, what is he thinking? Is he aware of everything that goes on here? Would he be crushed if she were to marry again? I told her that I didn’t think he is aware because – in my way of thinking about how the universe works at least – I think that at the moment of death, he exited time and space, so he exists now in a heaven completely separate to our realm of being. That way, for him, there will be a mere blink, a twinkling of an eye between arriving in heaven himself and the moment when we arrive there to be with him, even, if the Prophets are willing, that will be many, many years from now. To my mind though, even if you have some great assurance of heaven, it’s never the best idea to choose heaven over life in the real world. Life is precious, and rare and wonderful, and despite all the awfulness of war and misery and disease, there is beauty and goodness and love and hope worth staying for. Mother’s Day (as opposed to the British Mothering Sunday, an ancient religious adaptation of Laetare Sunday, which is earlier in the year) is a recent – 1872 – American invention and a secular holiday, but one which seems to have been fully adopted by churches in America and elsewhere. If greetings cards companies and other retailers had their way I am sure it would be celebrated by everyone over here as well. Indeed, when I was growing up I remember they attempted to do just that, and there was a twice-a-year commercial hype, but we seem to have wised up a little since then. 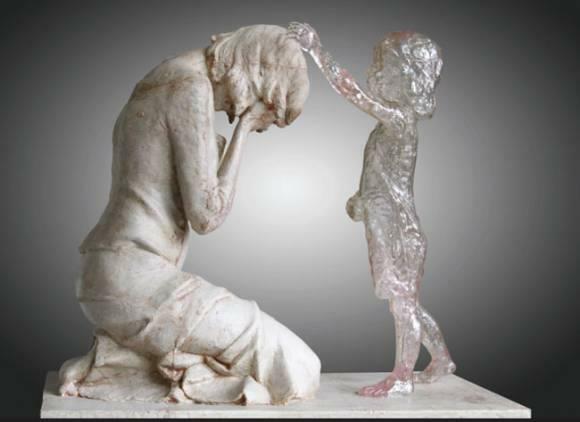 I am a mother, several times over, but I am also a ‘babyloss’ mother several times over. 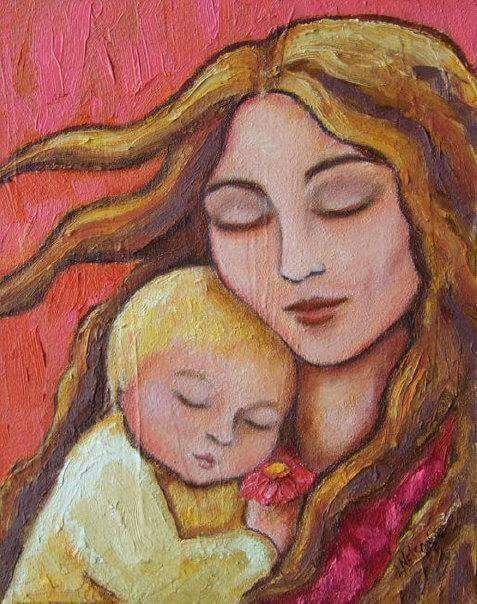 Celebrations of motherhood are hard and painful, and they can have the effect on babyloss mothers of making us feel a little ‘less’, a little de-humanized, and a little isolated. It can make us want to run away and hide, curl up in a foetal ball ourselves and be subsumed by our grief. We’re not the only ones who find mother’s day hard. There are those who have lost their own mothers, or those who, for whatever reason, are not mothers. So I do wish mothers every good wish, and I wouldn’t want my misery (which is usually under control) to rub off on anyone else.